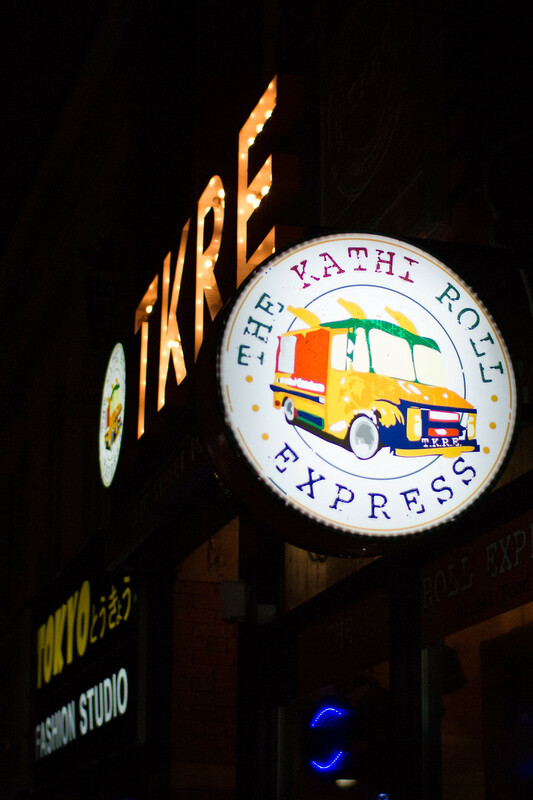 The Kathi Roll Express (TKRE) opened half a year ago on Yonge St and aims to bring a slice of Indian street food to Toronto. 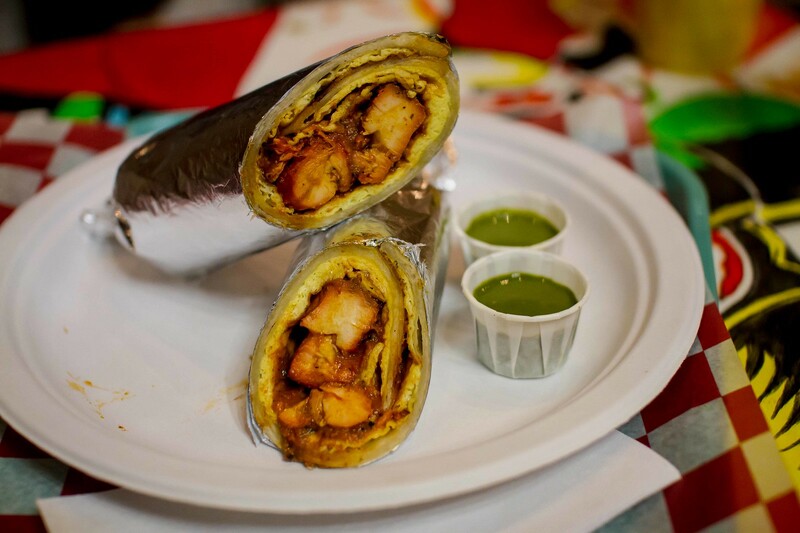 Their namesake, the kathi roll is a protein filled wrap using Indian flavours and housemade paratha, an Indian flatbread. I was invited to sample their special butter chicken menu items being featured as part of their Butter Chicken Festival running from Dec. 11th to Dec. 24th. Disclaimer: All food sampled were provided free of charge by the restaurant. All opinions expressed below are wholly mine. 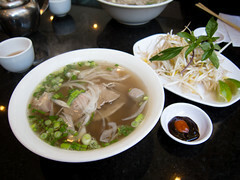 Atmosphere: Walking into the restaurant is like leaving downtown Toronto. 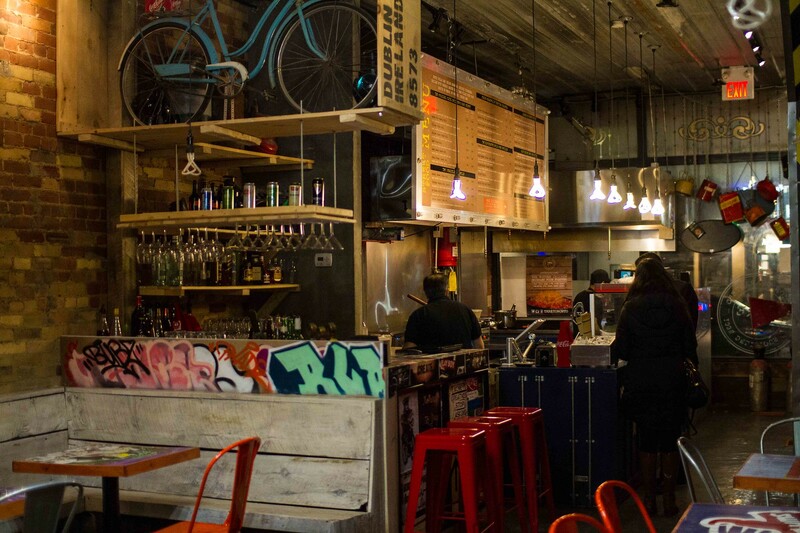 The restaurant is decorated with a lot of natural wood elements and a gorgeous graffiti mural constantly draws the eye. 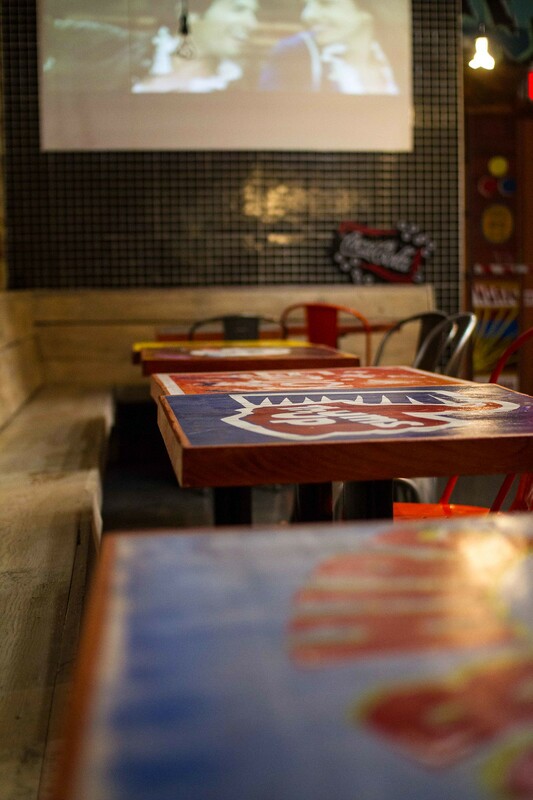 Each table is hand painted with a different motif in bright colours. 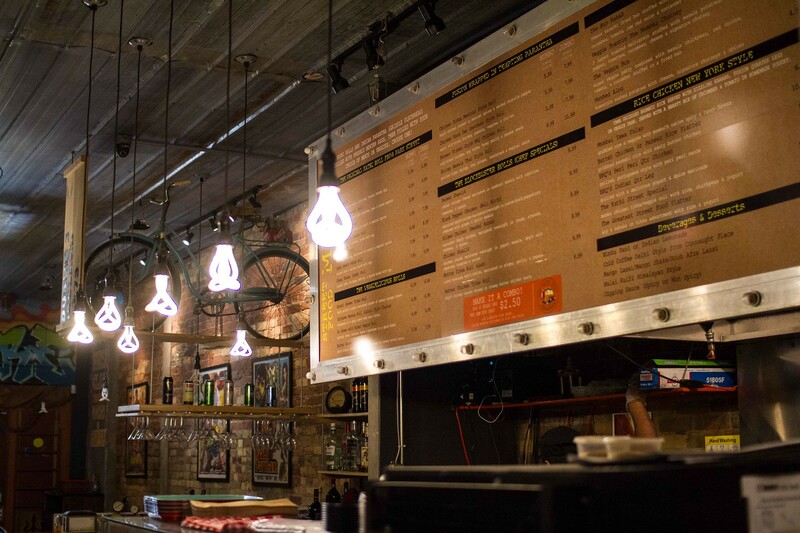 Pendant lights hang over the counter and Indian music videos were projected on the far wall. A bar is set up with a DJ booth ready to liven up the atmosphere, but on a Monday night like when we visited many of the customers were grabbing a family dinner or bite to go. 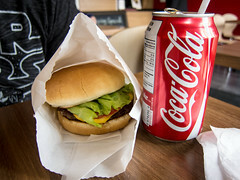 This would be a great lunch spot or late night food stop for university students in the area. 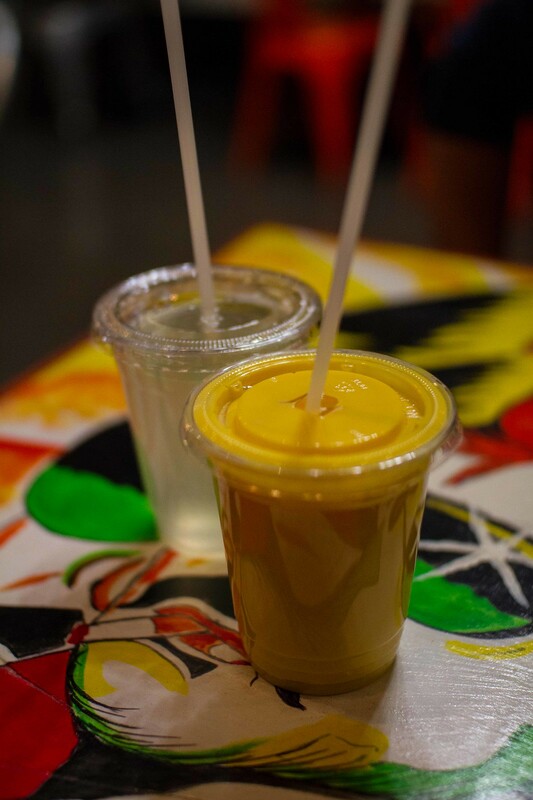 Food: Our meal started with Indian lemonade and mango lassi. The mango lassi was rich with a hint of yogurt taste. After a couple of sips of the lemonade, I knew there was something different about it. The BF’s tastebuds realized the special ingredient was salt! 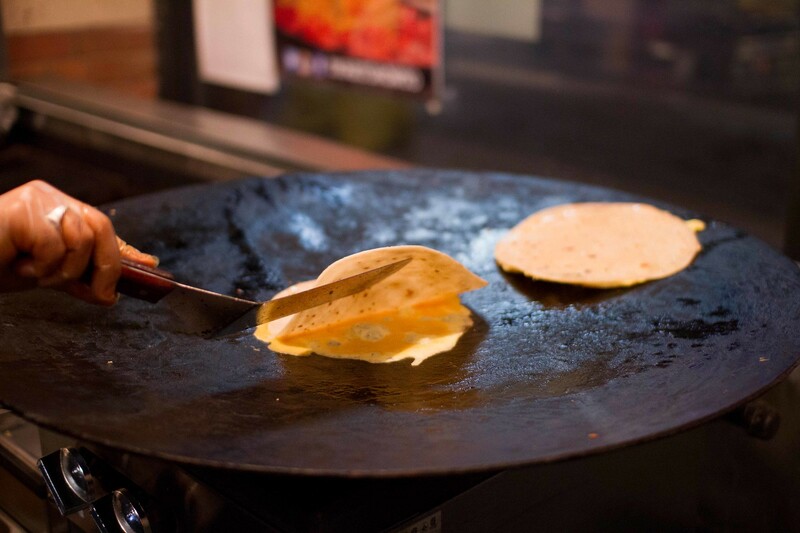 Each kathi roll starts with a paratha warmed on the griddle. 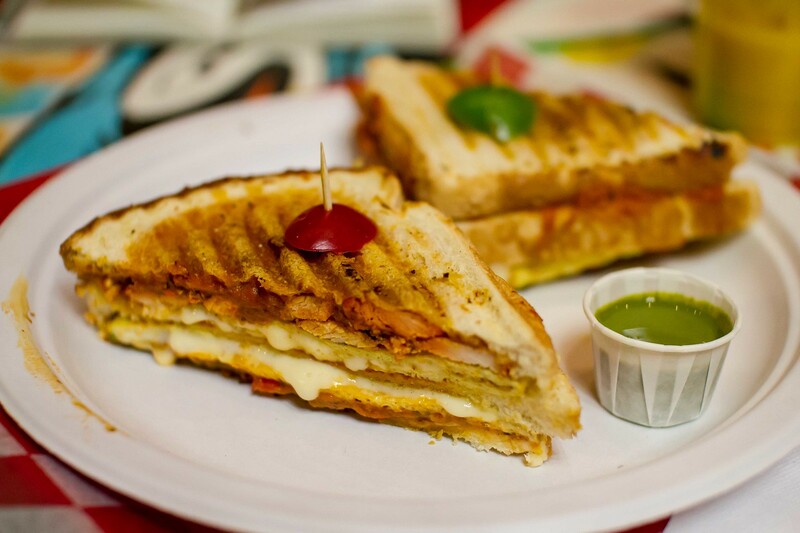 A layer of egg is fried up along side and the paratha layered on top. 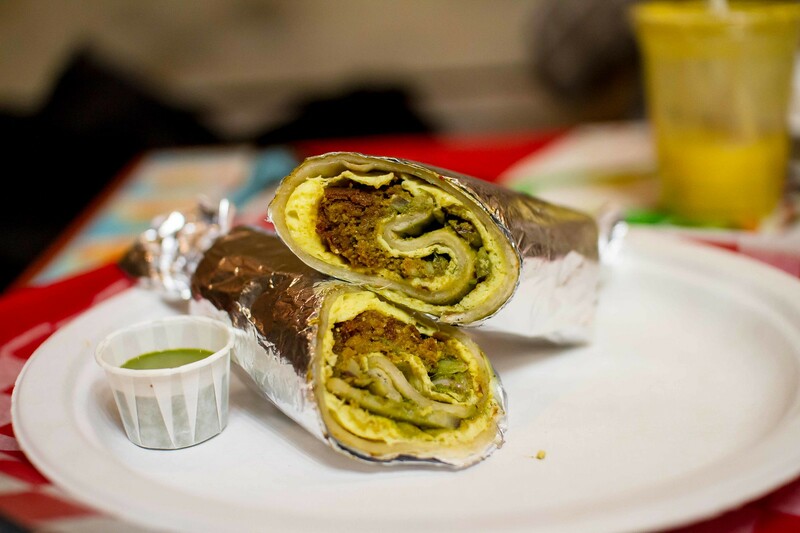 The protein filling is then added and the whole thing wrapped up and served with a mint, coriander sauce. The butter chicken roll wasn’t greasy at all, had big chunks of meat and lots of sauce. I loved the coriander sauce which comes in mild and spicy (still not all that spicy) varieties. Next was the Butter Chicken Toastie, essentially a triple decker butter chicken grilled cheese sandwich loaded with grilled peppers. This was a heavy dish and I’m glad I had help. Again, there was a healthy helping of butter chicken sauce and it soaked through the grilled bread. 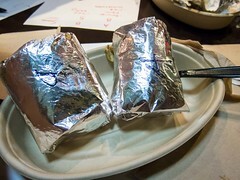 From the normal menu, we tried the shami (lamb) kebab roll. A spicy lemon chili paste was included and this was the first real kick of the night. It was hot, mango lassi chugging hot and so good. By this point I was happily full and there was still the Butter Chicken on Curried Rice to come! 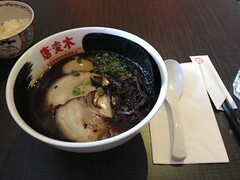 I asked for a half portion and was glad I still had a bit of stomach real estate. 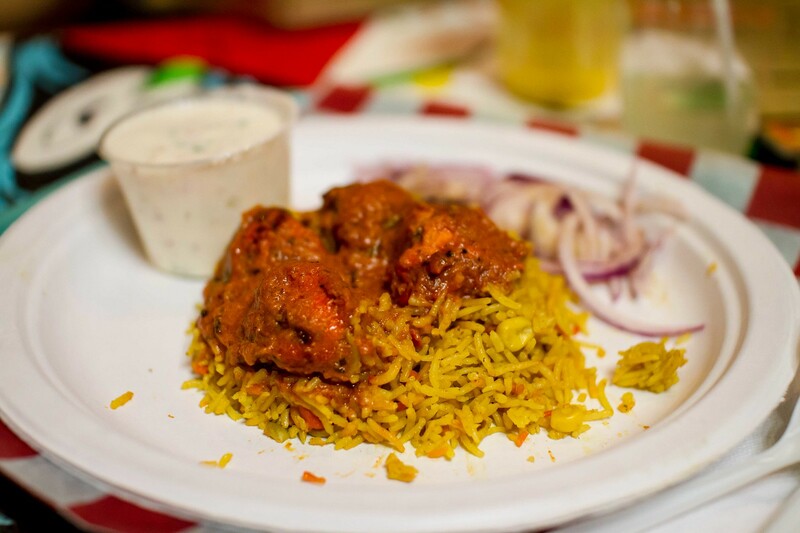 TKRE makes a solid butter chicken and the curried rice had a great fried flavour. I didn’t have any room left to try their signature fusion rolls. 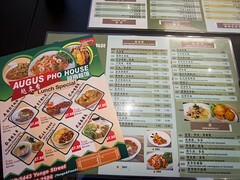 Next time though, I need to have the Kung Pao Szechwan Roll and Chicken Tikka Mexican Rolls. 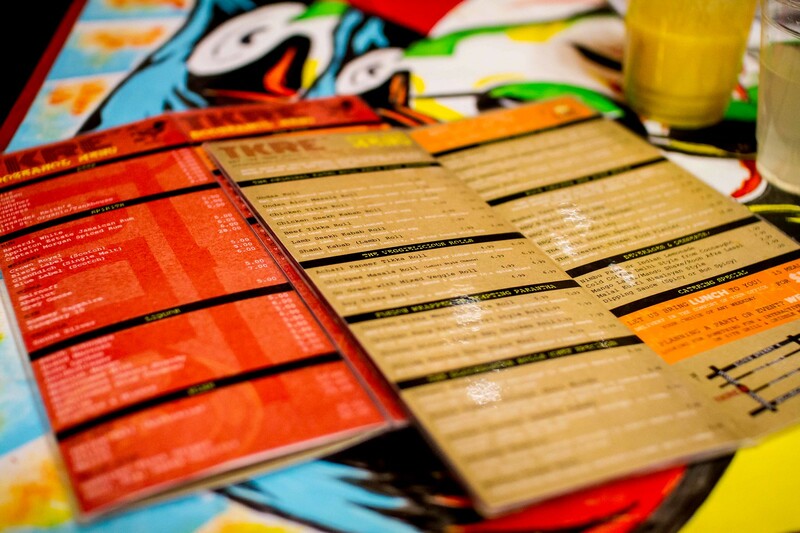 TKRE likes trying new menu item, events and has something on the go every 4-6 weeks. In January, they’ll be throwing a kebab event. Until then, the butter chicken festival is running until Dec. 24th.